Two local filmmakers are bringing the story of Roaring Fork Valley farmers to the big screen. The award-winning documentary “How We Grow” makes its home premiere this weekend. Aspen TREE Co-Directors Eden Vardy and River Morgan share their vision for Aspen TREE in the coming years, and discuss the power of thinking positively about environmentalism. The organization has ambitious plans for growth and expansion, which includes a model for up-and-coming farmers. Aspen TREE Co-Directors Eden Vardy and River Morgan share the history of the organization and the inspiration behind the work of Aspen TREE. Vardy became inspired after taking an Environmental Literacy class at Aspen High School, which would lead him to pursue his undergraduate and graduate degrees focused on positive environmentalism. The demand is high for local food in the Roaring Fork Valley, but there’s not enough available. Results from a six-month study show a need to increase local food production through supporting new and beginning farmers. Gwen Garcelon heads the Roaring Fork Food Policy Council, which initiated the analysis. 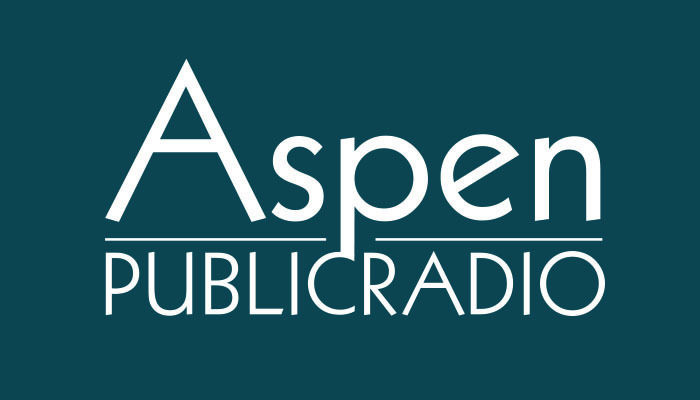 She spoke with Aspen Public Radio’s Marci Krivonen. Gwen Garcelon is with the Roaring Fork Food Policy Council. A local Epicurean group is researching what kind of “food hub” is right for the Roaring Fork Valley and now Pitkin County is chipping in. The Roaring Fork Food Policy Council is the behind the food hub idea. Food hubs strengthen regional food systems by simplifying the way producers get their products to consumers. A hub could include an online farmers’ market, a small demonstration farm or an online information sharing site that links consumers with local food. The cafe at the Anderson Ranch Arts Center in Snowmass Village is open for lunch from 12 to 1pm, and dinner from 6 to 7pm. It's not only open to the public, but to working artists who are teaching, or taking workshops, at the Ranch. Also, every other Friday, the ranch cafe puts on a BBQ lunch for the lunchtime auctionettes - that's $10 a person. Geri and Kendra have been working for the cafe for the past 4 years and this spring took on full responsibility of the cafe. Geri and Kendra share about prices, artists, the social scene, cuisine, and working with the non-profit Aspen T.R.E.E. to provide local and organic food. About half the world’s population suffers from some form of malnutrition – 2 billion people are undernourished, 1.4 billion are overweight or obese, and 800 million are hungry – and as climate change advances, the threats will likely worsen. In the US, cutbacks in the Supplementary Nutrition Assistance Program mean some Americans run out food every month. Lacking the right nutrients to grow and thrive, billions around the globe cannot rise from poverty. What food and nutrition priorities should the international community set as the UN’s Millennium Development Goals expire? What is the blueprint for strengthening access to nutritious foods and sustainable agriculture? What is the role for the private sector?